Welcome to the imaginary village of Wrenton. Rule One applies. I don't have any 'back-story' to explain where it may be on the railway network, but what you're about to see place it somewhere in East Anglia. 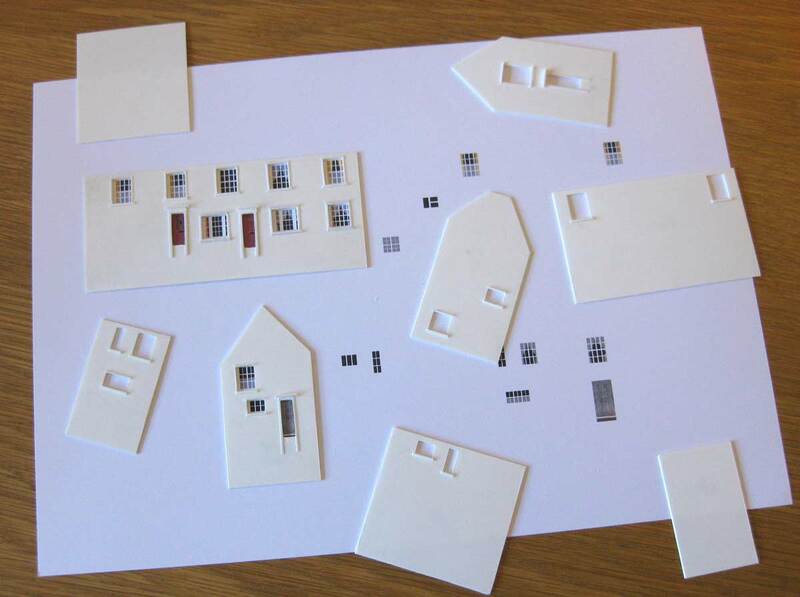 Back in October 2013 I had the idea of making some buildings in 2mm scale though without any intention of constructing a layout. I have a favourite village in Essex. 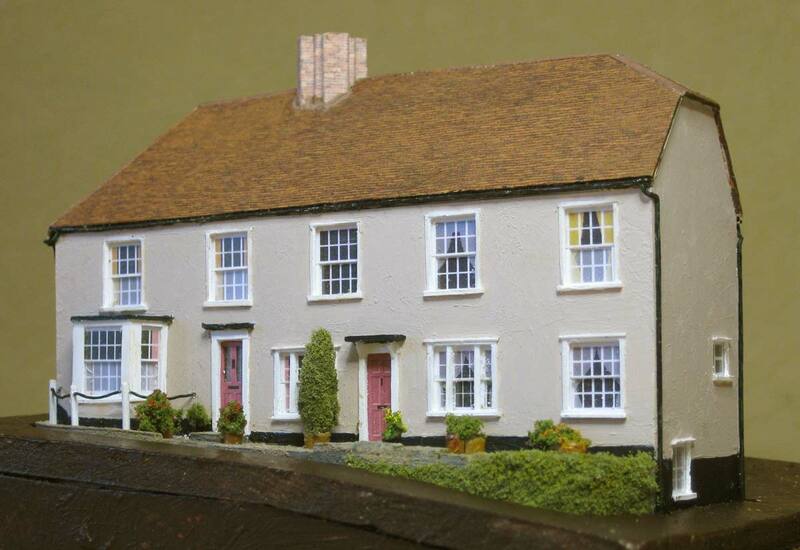 One of my grandfathers was born there and it has lots of lovely houses and cottages crying out to be modelled. Working from my own photos and Google Street View images would give me enough information to make reasonably accurate versions of their frontages though the backs and sides would have to be mostly left to the imagination. It was only when I’d made a few buildings that I started to think about incorporating the buildings into a model railway. In these photos of the early buildings you can see that I mounted them on temporary bases while they awaited their final home. Perhaps mounted IN temporary bases is more accurate as I always include some ‘foundations’, thus avoiding unsightly gaps under the walls. 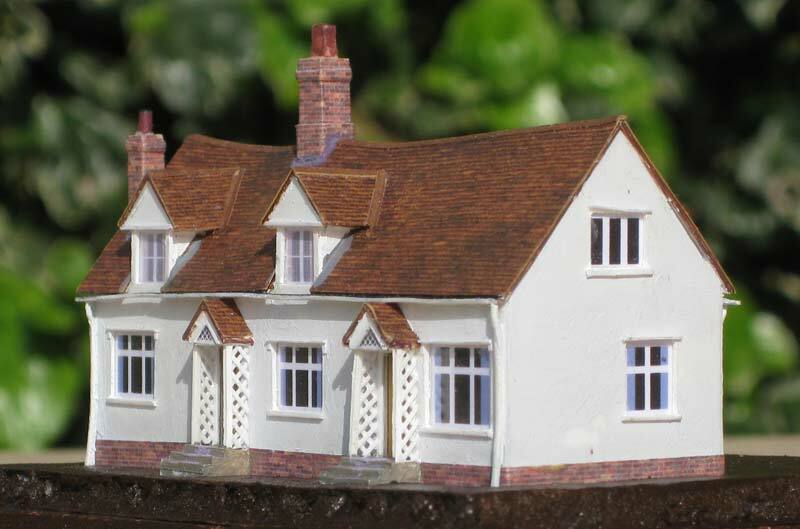 I started with something simple - a garden shed (it has made it onto the layout) and followed that with a pair of semi-detached cottages from drawings in an old model magazine using card (which haven’t). 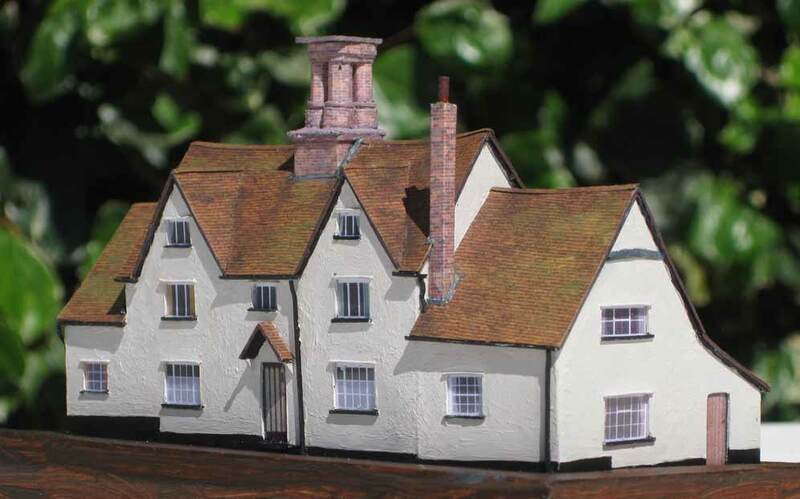 After that I tried another cottage using plastikard, which I much preferred to the card and which I’ve since used for all my models. 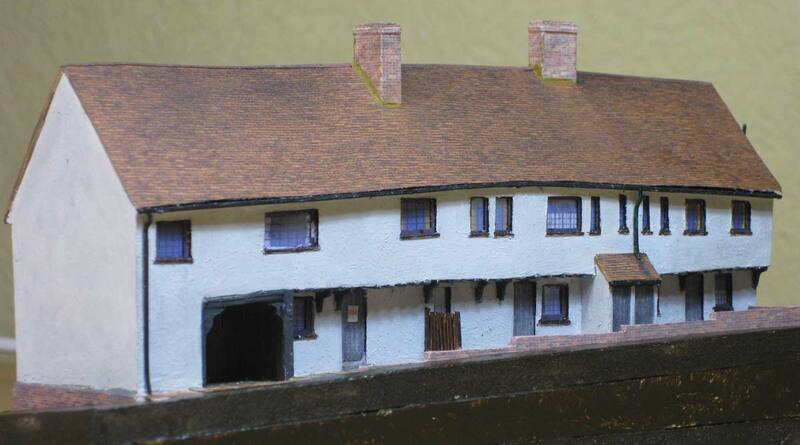 So here’s the first cottage which has made it onto the layout. The sills and the drip strips above the windows (if that’s the right name for them!) are clearly too large. Lesson learned – a photo shows up problems that might otherwise pass unnoticed. I’ve used home printed roofs on all my buildings. They are based on photos of the real thing, stretched vertically in Photoshop to give the correct shape of the tiles or slates. Most of the village buildings have plastered walls so I don’t have to worry much about brick papers. Before starting work on the cottage I drew out the walls and window and door cutouts using Photoshop. I printed this onto thin card, scored the corner lines and cut round the outlines. This was then folded up to form the shape of the cottage. It’s easy to see if any changes need to be made. When I was happy with the design I made another print, this time on label paper. This was then stuck onto a piece of plastikard to act as a cutting guide. This time, of course, the walls were cut as separate pieces. Once the label paper was peeled off, the walls could be assembled. 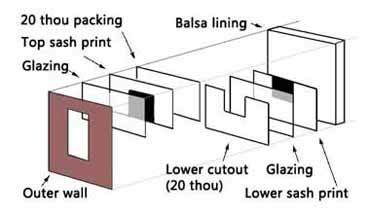 I used this technique on all my early models, though I later bought a Silhouette cutting machine which makes cutting the walls, and many other components, much easier. More of this in a later post. Next came a group which will sit on a steep hill. Here are the first two buildings. And one of them did need brick paper. I used a photo of the real building and Photoshopped a large enough area of bricks to cover the building. On the other side of the road is a guildhall, the original dating from about 1500. The twisted shape of the building was quite a challenge and was achieved by building it around a series of formers, much like building a model boat. 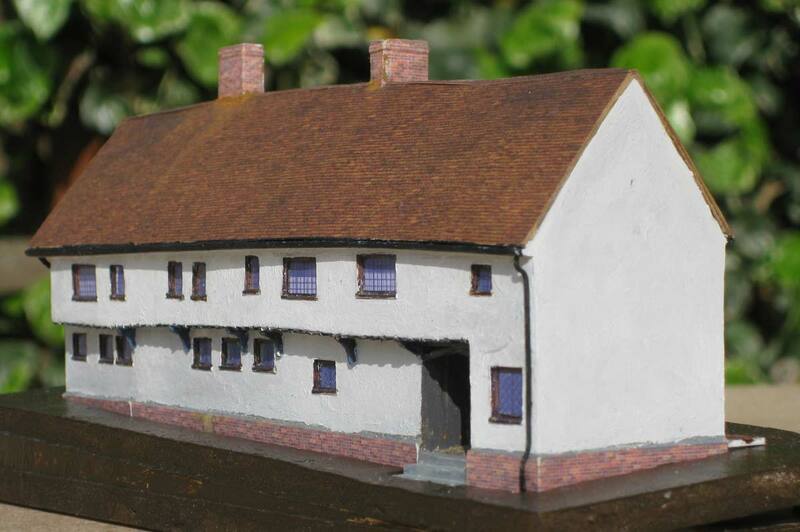 And next to that will be a building based on a very old one which served at one time as a workhouse and later as a butcher’s shop. I love the look of the front of this building. Unfortunately it finished up almost facing the back of the layout! This tiny cottage presented a few constructional problems. The sagging roof is deliberate, I promise! This next group goes to the left of that cottage. Perhaps I should mention that I’m making the buildings as they look today, or quite recently, hence that bright blue cottage. I recall from childhood visits to the village that some of them looked rather scruffy in the 1950s and I doubt that that colour would have been seen! This building needed some modifications before installation on the layout as it’s on a somewhat gentler slope than I’d planned for. Here’s how it looked before the modifications. One lesson learnt from this building was to paint the walls using a colour that comes straight from a tube or pot. I’d mixed this colour using artists’ acrylics and when the time came to retouch it after the modification I had a job to mix up the same colour again. So now I have a selection of sampler pots from the DIY store to chose from. 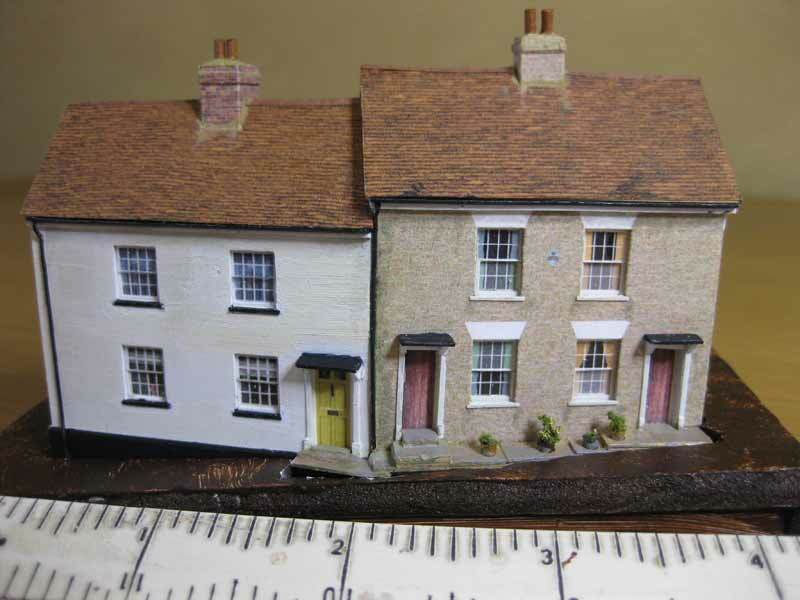 After making these buildings, which had taken about nine months, I finally persuaded myself that I wanted to build a model railway to put them on – I didn’t need much persuasion. The village would be a major part of the layout and by basing the buildings on prototypes in a small area a sense of unity is achieved. Most of the real buildings are within a few hundred yards of one another, the most distant is only a couple of miles away. Some of the models are grouped like the real ones, most, though are not. 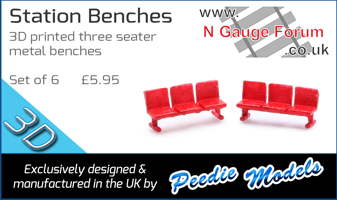 That's some great modelling . How did you do the windows? That last one in particular looks fantastic. Reminds me of the buildings that Alan Downs used to build and feature in the modeling magazines back in the 70's but he was modeling mainly in O or sometimess OO gauge. Wow! 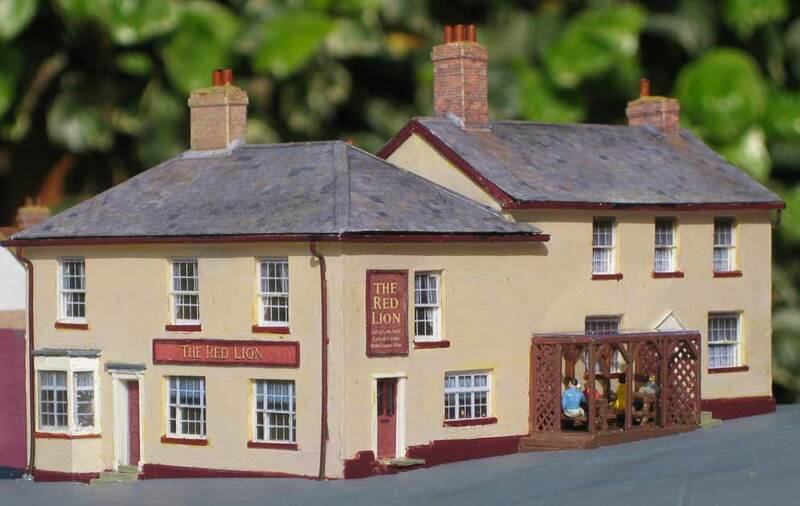 That's very nice modelling - I love the Red Lion in particular. I think the photos taken outside really bring out the colours, and do have a much more 'natural' feel compared to usual indoor photos. These are really impressive models. Thanks for sharing your pictures, and building techniques. What a seriously impressive set of buildings. I'm currently making up a set of Metcalfe card kits but, seeing these results, I will seriously consider your technique for future buildings. Well done! I canonly echo the compliments. 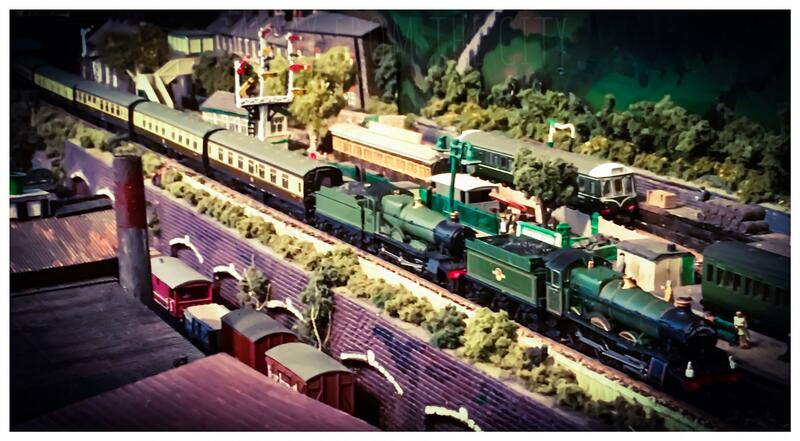 Those buildings are just stunning, and deserve to be featured in the monthly mags or the N Gauge Society Journal. Utterly Brilliant! That is some VERY impressive modeling! I expected someone would ask that - didn't expect it would be the first reply! OK, hands up, I cheat. The frames aren't real, they're printed and they're behind the glazing. I don't think this trick would work in larger scales but it seems ok in N.
I start with the outline drawing like the one in my original post. The outlines are on one Photoshop layer (I have to assume some familiarity with the program) and the window shapes on another. I add yet another layer and draw a dark rectangle within the window shape. I leave a bit of the original shape showing all round - that's the outer shape of the frame. The I draw in the internal glazing bars. I add curtains to this layer too. On one more layer I draw any net curtains required using a light grey. I set the transparency of this layer to show a hint of the curtains behind. I switch off the layer with the original window shapes before making a print. Here you can see the drawing for that last building with the walls laying on it, a couple of them in approximately the right position. I made a couple of Metcalfe kits and they certainly go together well and make up into sturdy models. I'm not fond of the obviously drawn brickwork and roofs, though. They would look better if these were more realistic, I think. But they do save a lot of time. I made the goods shed in less than a day. My scratch built one took ten days! 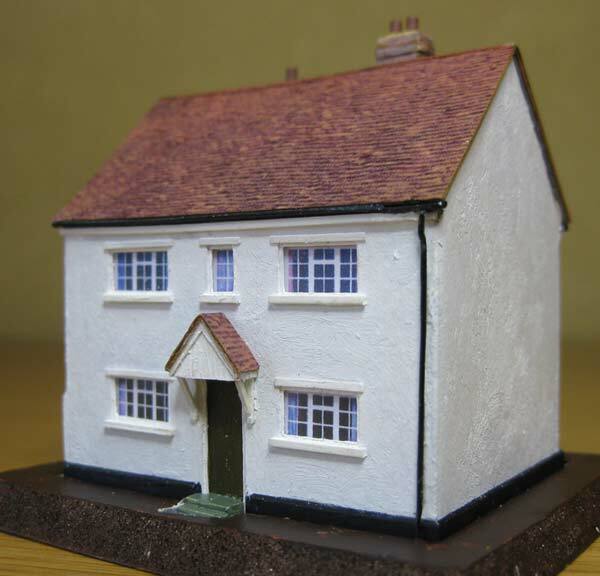 I could do a post showing the construction of a little cottage step-by-step if that would be of interest. Perhaps in the tutorials board? I photographed the build of a recent model at every stage of construction so I've got the pictures I'd need.